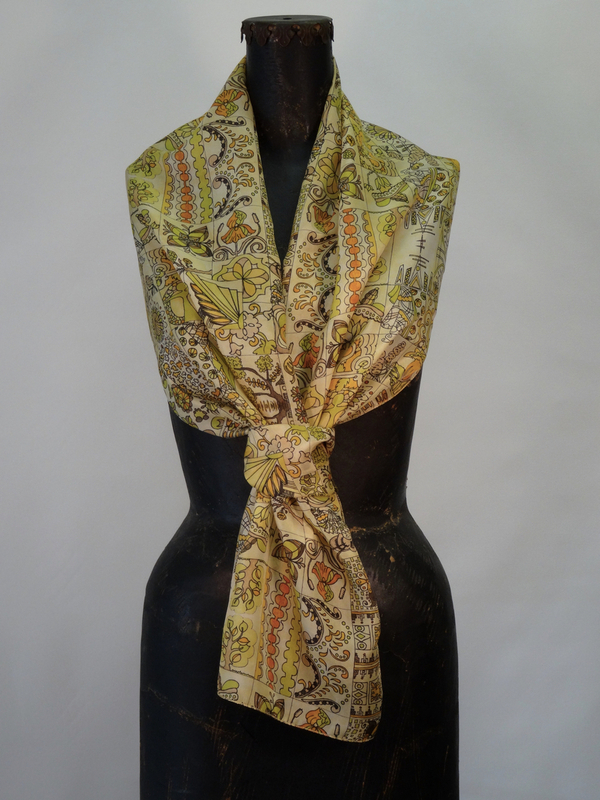 For business or casual attire, these colorful and playful silk scarves enhance any outfit. Designs are based on the artwork as shown in Tending to My Wounds, Coping with Grief One Square at a Time. SIZE : 12" x 65" : Pure Silk Habotai, 8mm light weight silk and standard baby bead hem. Image shows through 98% nominally on the reverse side with a slight see through quality. Perfect silk for year round wear. Designs are based on the healing through art canvases as shown in the Book, TENDING TO MY WOUNDS, Coping with Grief One Square at a Time. Currently 3 designs are available. Additional scarf designs from the Book will be added to include designs from artist, Jeff Walling, WilderAnn. Contact Us for Shipments Outside of the United States or Mail Order. Be Good to Yourself and to Others a portion of your purchase will go to one of three charities, your choice. ContenT, Artwork and ALL photography (unless otherwise noted) 2015 © Debra Smelik WallinG.